Cindy Landrum suggested in a recent post that the UUA should provide payroll functions for local churches and congregations. Quite a while ago, I suggested that the UUA should attempt to compile a massive database of UU's around the country, including those who self-identify but are not in congregations, those merely interested in our way of faith, those who have indicated support for any of the campaigns associated with Standing on Side of Love, etc. Evin Carville-Zeimer suggests in a comment that the UUA could take on the task of providing a centralized legal services for churches and congregation. I had a friend who suggested to me years ago that based on his experience doing nation-wide deals, he thought it would be possible to negotiate a nation-wide banking agreement with a single national bank for congregations and churches. 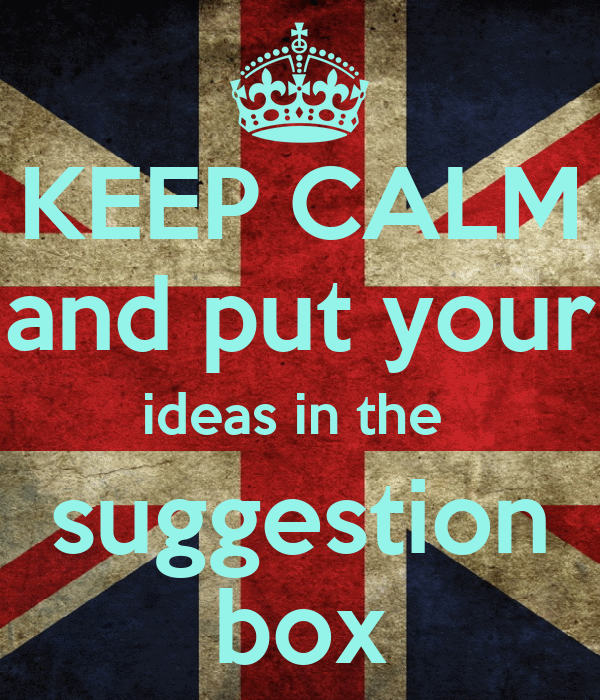 So, I am setting up the suggestion box here. What functions do you think that could be centralized, to free up resources and energy in the local congregation to do what they do best? Make your suggestions in the comment area. Remember that I moderate comments, so if it won't appear right way. You've done it right, don't worry. It will appear eventually. I will not posts that get into explaining why another suggestion is a dumb idea, a violation of everything we hold sacred, won't work, is already being done, or has been tried with disastrous results. If we actually making any decisions here, such comments would be in order. Think of this as brain-storming. Working with Microsoft to become a office 365 hosting provider, all congregations and groups as sub-sites. Build it and they will come. Some congregations and groups won't, that is ok.
website templates including on-line registration and payment functions. Thank you, Tom, for the follow-up! I love this idea of the suggestion box here. Images for congregations to share via FB, Twitter, etc. Personnel functions that could be put in one place, mortgages for churches using endowment funds and earning a better rate of interest than we get at banks. A variety of templates for bylaws and policies for congregations of various sizes. How to resources for common issues such as adding worship services and planning and acquiring space appropriate for congregations. A national talent, expertise, and personal resource databank of UU's. Help with cultivating multimillionaires in congregations. Resources to help leaders distinguish between fiduciary responsibility and hoarding. I've got some! But it will have to be a follow-up blog posting in the next week or so.